I was a little surprised to hear this call, given that their audience consists mainly of older people (well… I’m not insinuating anything about myself now). But since this topic touches photography, art and contemporary media trends I became very interested. 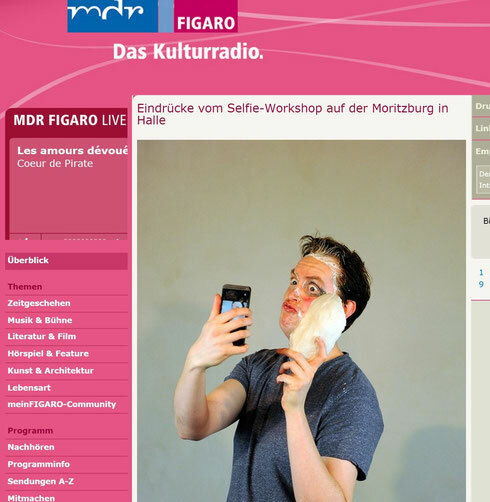 The broadcast station mdr Figaro, where I had heard the ad, even offered workshops to explore the history of “selfies” and to become creative oneself. So I signed up for the selfie workshop at the Moritzburg art gallery in my home city Halle. I didn’t know what to expect from the workshop: Would it be how to pose in front of a camera? How to show oneself in good light? Or would it be how to explore oneself and define it in a picture? When I arrived at the Moritzburg, two TV production teams, two photographers and one radio reporter were already there. Almost overwhelmed by the media presence the workshop started with a guided tour through the gallery. We discovered that self-photography already existed at the ending 19th century in Halle region. And using the example of well-known photographers from there we discussed the aspect of hiding and exposing oneself in a self-portrait. Then the actual workshop started. Sylvia Werner who has a background in theatre pedagogics, showed us different methods of how to find and reinvent oneself. We practiced creative writing, a “shadow walk” where one person is supposed to imitate the other, and created and drew the shadow contours of ourselves. Most fascinating, however, was to create plaster masks of our faces. This is me and my mask in the picture on the left, right after the wet plaster had dried on my face. After the workshop I found my own differentiation from “selfies” to self-portraits: I would regard a selfie as something occasional, spontaneous, and superficial. In contrast to that, I think a self-portrait is well-thought and has a deeper, maybe hidden meaning. But since there is no official definition for it, everyone can interpret it differently. Being asked if I have ever created selfies or self-portraits myself, it is not easy to answer. 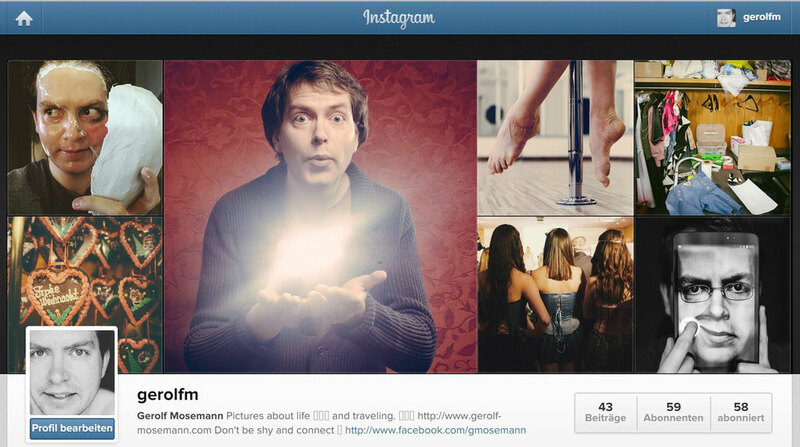 Sure, you would find some selfies on my Instagram account. But it is not something I do everyday and well... usually I would put some thought into them. So decide yourself. But if you want to explore creating self-portraits yourself, the application for uploading your own selfie to mdr Figaro is still open. The winners will be exhibited at the Moritzburg art gallery. I'm sure it's worth a try!